Following the visit by the American pioneer pilot, Wilbur Wright, to Europe in August 1908, the Leysdown-based manufacturer Short Bros acquired the British licence rights to construct a small number of Wright Flyers and, during the next four years, embarked on the production o f original tractor and pusher aeroplanes to the orders of various British private owners. By 1912 the Board of Admiralty had become sufficiently interested in the potential of the float-equipped seaplanes, which were being advocated by Horace Short, to order a number of Short aeroplanes for the newly-established Naval Wing of the Royal Flying Corps. Early in 1913 Horace Short drew up and patented a system whereby the wings of his seaplanes could be folded aft, thereby enabling them to be accommodated aboard naval vessels. Thereafter Shorts' Eastchurch works on the Isle of Sheppey became almost exclusively engaged in building a range of twin-float biplanes equipped with two-bay folding wings, the first being allocated the naval serial numbers 81 and 82 (Short S.63 and S.64 respectively), powered by 160hp Gnome engines. Four others, Nos 119-122, entered service at the RNAS Station, Isle of Grain, in May and June 1914. Within a week Horace Short had completed the necessary drawings and new cross-beams had been fitted be tween No 121 's floats to enable a torpedo to be carried on crutches, clear of the water, and on 28 July the first torpedo drop by a British aircraft was made by Longmore at Calshot. (Although Longmore reported that he made the first drop on this day, an account, written long afterwards by Oswald Short, claimed that Gordon Bell, the company's staff pilot, had made a drop on the previous evening, albeit only after two attempts to coax the Gnome-Short into the air. None of the Short Folders was ever used to deliver a torpedo against the Germans after the outbreak of the First World War, although at least two other aircraft were modified to carry the weapon. The Admiralty decided instead to depend on aerial bombs; in any case the Gnome-powered Folder was unable to take off with its second crew member while carrying the torpedo. Two Folders, Nos 119 and 120 (flown by Flt-Cdr Robert Peel Ross RN [later Air Cdre, DSO, AFC, RAF], and Flt-Lt Arnold John Miley RN [later Gp Capt, OBE, RAF], respectively) accompanied HMS Engadine for the bombing attack against Cuxhaven on Christmas Day 1914. Three other Folders, Nos 811,814 and 815, powered by 100hp Gnome monosoupape engines, also took part in this raid (Short Admiralty Type 74, see below). Nos 120-122 were shipped to Durban in 1915 aboard the armed liner Laconia for operations against the German light cruiser Konigsberg, trapped in the Rufiji delta, but, in the hot humid climate prevailing, proved incapable of taking off with bombs. Type: Single-engine, two-seat, two- or three-bay biplane torpedo-carrying seaplane. Manufacturer: Short Brothers, Eastchurch, Isle of Sheppey, Kent. Powerplant: One 160hp Gnome 14-cylinder rotary engine driving two-blade propeller. Dimensions: Span, 56ft 0in; length, 39ft 0in; wing area, 550 sq ft. Performance (without torpedo): Max speed, 78 mph at sea level; climb to 3,000ft, 5 min 30 sec; endurance, 5 hr (about 30 min with torpedo). Armament: No gun armament. Four 112 lb bombs or one 810 lb Admiralty torpedo. Prototype and Production: Admiralty No 81, first flown by Cdr C R Samson in July 1913. Total of nine 'Folders' built, Nos 81, 82, 89, 90, 119-122 and 186. No 121 first flown with torpedo by Sqn-Cdr A M Longmore on 28 July 1914. Summary of Service: Short Folders served at RNAS Stations at Isle of Grain, Westgate and Calshot, and aboard HM Seaplane Carriers Engadine, Empress and Riviera. Three aircraft served with the RNAS detachment to Niororo Island, East Africa, in operations against German light cruiser Konigsberg in 1915. As was a fairly common practice at the time, the Short Admiralty Type 74 Seaplane took its designation from the serial number of a representative production example, in this instance the first such aircraft completed. Bearing a marked resemblance to an earlier Short design, the Biplane No 42, though initially with three-bay nonfolding wings, the Type 74, No 74, was first flown by Gordon Bell on 4 January 1914, being followed by Nos 75-80 during the next four weeks. Powered by 100hp Gnome ten-cylinder rotary engines, the Type 74 followed the customary Short construction of box-girder fuselage with aluminium nose panels, ply-covered cockpit panels and fabric-covered rear fuselage. However, despite the successful use of double-acting ailerons in earlier aircraft. Shorts reverted to the single-acting type in the Type 74. These first seven Type 74 seaplanes served with the RNAS at Grain and Dundee during 1914, four of them taking part in the Royal Naval Review at Spithead in July. They were followed by eleven further 100hp Gnome-powered examples, Nos 180, 182, 183 and 811-818 - the latter batch being equipped with folding wings. Unlike the earlier 'Folders', none was converted to lift a torpedo, owing to the lack of engine power; instead they were adapted to carry a pair of bombs, usuallv of 100 lb or 112 lb. Three of the 100hp Gnome Folders, Nos 811 (Flt-Lt C H K Edmonds), 814 (Flt Sub-Lt V Gaskell-Blackburn) and 815 (Flt-Cdr D A Oliver) took part in the raid against the Zeppelin sheds at Cuxhaven on Christmas Day 1914; however, the pilots failed to find their intended targets, and attacked other installations along the Kiel canal with only limited success. Type: Single-engine, two-seat, three-bay biplane coastal patrol twin-float seaplane. Powerplant: One 100hp Gnome ten-cylinder rotary engine driving two-blade propeller. Dimensions: Span, 57ft 0in; length, 39ft 0in; wing area, 580 sq ft. Weights: Tare, 2,100 lb; all-up, 2,700 lb (without bombs). Performance: Max speed, 65 mph at sea level; endurance, 5 hr (45 min with light load). Armament: No gun armament. Bomb load of up to two 112 lb bombs carried externally. 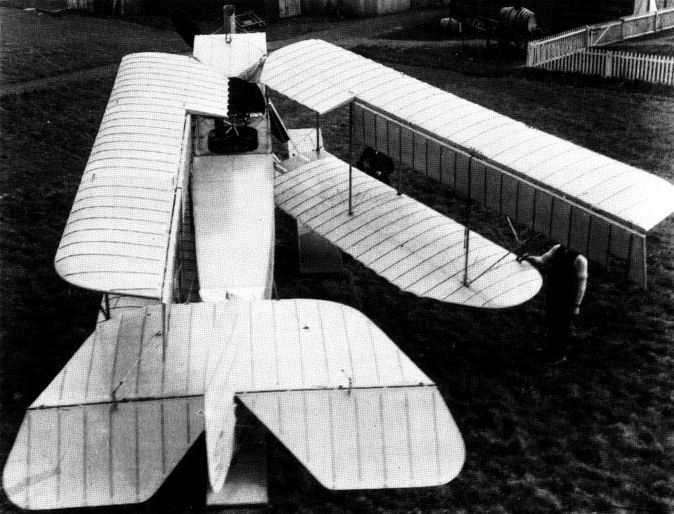 Prototype and Production: Admiralty No 74 first flown in January 1914 by Gordon Bell, followed by seventeen similar examples, Nos 75-80,180, 182, 183 and 811-818 (the last eight with folding wings). Nos 811, 814 and 815 accompanied HM Seaplane Carriers Arethusa, Engadine and Riviera for bombing raid against Cuxhaven on Christmas Day, 1914. This was one of the earliest aeroplanes to incorporate folding wings. The first two Folders (Nos.81 and 82) had two-bay wings and were closely related to the S.41. Later Folders (including NO.119 shown in the photograph) had three-bay wings. The original Folder. No.81. took part in the Naval manoeuvres of July 1913 and carried an early type of wireless transmitter. On 28 July 1914 a Short three-bay Folder (No. 121) from Calshot flown by Sqn Ldr A M Longmore made the first successful air-torpedo drop in Great Britain. The weapon used on this historic occasion was a 14 in torpedo which weighed 810 lb. Two Short Folders (Nos.119 and 120) were among the seven RNAS seaplanes which raided Cuxhaven on Christmas Day, 1914. One 160 hp Gnome engine. Maximum speed, 78 mph. Span (three-bay version), 67 ft. Length, 39 ft.
Also known as the Improved S.41, this seaplane entered service with the RNAS in 1914 and took part in the Naval Review of July. 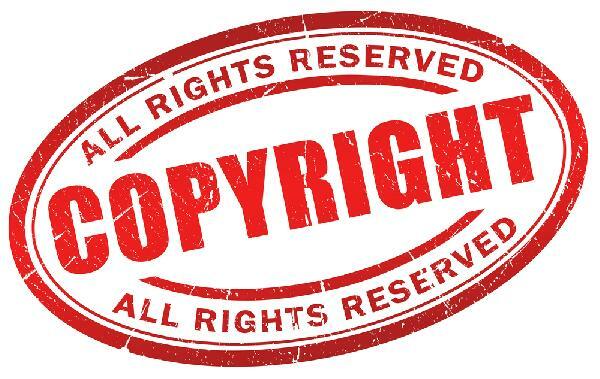 Serial numbers allotted were Nos.74 to 80, 183 and 811 to 818. Three Type 74 seaplanes (Nos.811, 814 and 815) joined four other seaplanes in the historic raid on Cuxhaven from the carriers Empress, Engadine and Riviera on Christmas Day, 1914. The Type 74 had a 100 hp Gnome engine but two later examples (Nos.78 and 79) were powered by 160 hp twin-row Gnome engines. Short Tractor Seaplanes. 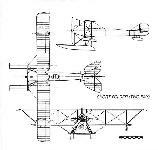 'A certain 160 hp Short seaplane', identified by C. H. Barnes in Shorts Aircraft since 1900 (Putnam, 1967) as No.121, was a third type of Short aircraft to play a pioneering part in the development of aircraft armament, for it was this machine that was earmarked by Sir Arthur Longmore for the earliest British torpedo-dropping trials. These were made at Calshot in July 1914 with a 14-in torpedo. Although crutches are said to have been attached to each of two specially arched cross-bars, hastily designed by Horace Short, early drawings, which it is intended to reproduce in Volume 2, show a seaplane of Short type having cross-bracing of X form, the torpedo being carried at the apex of the lower inverted V. The release mechanism was designed by Lieut D. Hyde-Thomson, who also adapted the torpedo. Four other Short seaplanes of the type used in the Calshot experiments are said to have been arranged for torpedo-dropping at a later date, and aircraft having the Service numbers 178 and 186 have been associated with torpedo installations, the latter being listed as 'Type B'. This designation is of particular interest having regard to the Sopwith torpedo seaplane known as the 'Type C'. On the Short tractor seaplanes, bombs were carried loose or on carriers. One identified load was one 100-lb bomb and four of 20 lb. In the period prior to the outbreak of war and to the end of 1914, Shorts produced several different designs of seaplane for the Navy, including the first folding wing machines for stowage aboard ships. These followed the same general configuration, but varied in size, weight and power. The basic layout was of a twin-float seaplane with tail and wingtip floats. The wings were of unequal span and single acting ailerons were used. The tail unit was conventional and included a large fin. The crew were seated in tandem with the pilot in the rear cockpit. Descriptions of these follow. These were the first aircraft with folding wings for the Navy and were completed in July and October 1913. The wings had two bays with struts supporting the top wing extensions. A funnel carried the exhaust over the top wing. These aircraft were built in two batches, four being delivered in January and February 1914 and all were completed by the end of the year. The three bay wings were non-folding with struts bracing the top wing extensions. The second batch, referred to as the 'Improved Type 74' were the first aircraft to be built at Rochester. A single aircraft, S128, was ordered on Contract No.57105/14 and this was delivered in November 1914 from Eastchurch. Power: 100hp Gnome ten-cylinder two row, or nine-cylinder Monosoupape air-cooled rotaries. These aircraft were similar to S69-72 but with the more powerful engine with funnel-type exhaust and were delivered in February and March 1914. Power: 160hp Gnome fourteen-cylinder two-row air-cooled rotary. These aircraft had three bay wings of increased span, but were generally similar to S64-65. No. 121 was the first British aircraft to successfully drop a torpedo. 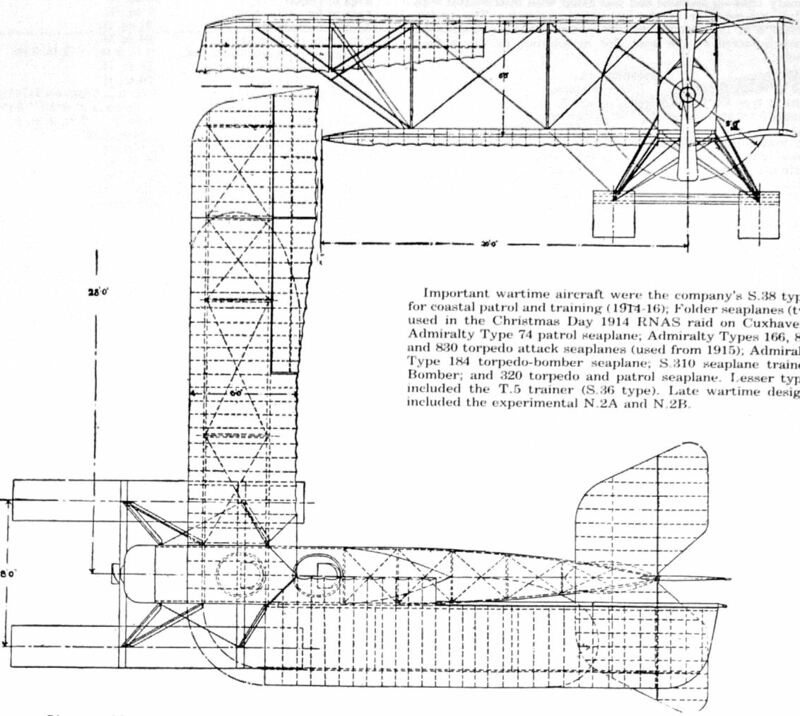 During 1913 Horace Short devised a method of folding the wings of the firm's seaplanes by hinges on the rear spar and bayonet joints on the front spar for locking when open. The first example was No. 81, which went into service in the summer of 1913, to be followed soon after by No. 82. Both were two-bay biplanes, but they were similar in appearance to the Type 74, which they preceded in use. No. 81 was attached to the seaplane carrier H.M.S. Hermes for the 1913 Fleet Manoeuvres. It was equipped with Rouzet wireless and made two successful reconnaissance flights on 21st June, 1913. Nearly six weeks later, on 1st August, Cdr. C. R. Samson, R.N., was forced to land No. 81 in the North Sea, and the floats were wrecked. Later production Folders were given three-bay wings which could be folded from the cockpit. Exhaust gases were collected by a funnel-type stack and deflected over the upper wings. A Folder flown by Sqn. Cdr. A. M. Longmore made the first drop of a torpedo from the air in Great Britain on 28th July, 1914, with one of 14 ins. diameter and 810 lb. in weight. A 160 h.p. fourteen-cylinder Gnome engine powered the Folder. 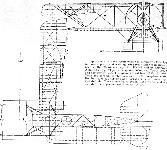 Span (two-bay), 56 ft.: (three-bay), 67 ft. Length, 39 ft. Weight empty (two-bay). 2.000 lb. ; (three-bay), 3,040 lb. Maximum speed (three-bay), 78 m.p.h. Endurance, 5 hrs. The Admiralty Type 74 took its designation from the serial number of the first of the type's production batch. Although known by Short Brothers as the Improved S.41, there was little connection between the two machines except for the fact that both used the 100 h.p. Gnome engine. The Type 74 was far closer in appearance to the Admiralty No. 42, but had three-bay wings. After its debut in 1913 the Type 74 went into use the following year with the R.N.A.S. and took part in the Spithead Naval Review held in July, 1914. It was flown later on coastal patrols from Calshot, Dundee, Isle of Grain and Leven. Illustrated is No. 76 afloat at Gravesend piloted by Cdr. C. R. Samson, with Winston Churchill as his passenger. Short S.64 (RNAS No.81) The first machine with folding wings known as Admiralty Type 74. Improvements were built into later batches. 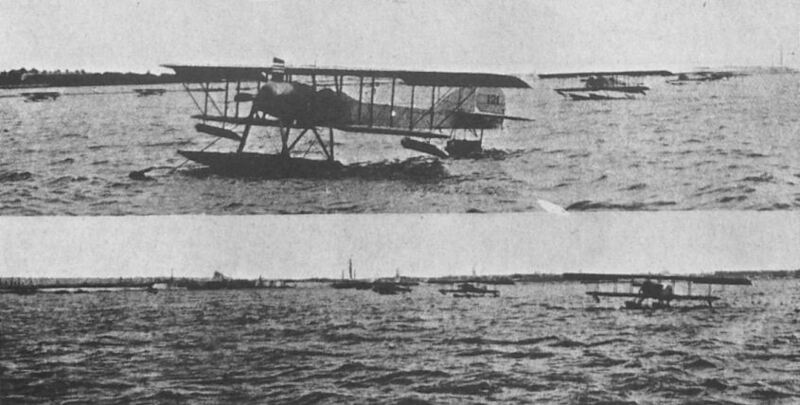 An early two-bay Short Folder seaplane employing Short's patented wing-folding system; note the single-acting ailerons which conveniently permitted the necessary clearance of the tail unit when folded. Short S.83 (RNAS No.120) A batch of four built in 1913-1914 were identified as Admiralty Type 81 and were three bay versions of the Type 74 Folder. Three-bay Short Folder No 120 at the RNAS Station, Westgate, in about September 1914. It had previously been at Calshot where it had been flown on 21 July with a dummy torpedo, weighing little more than 500 lb; as far as is known it never flew with the real 810 lb weapon, but this was said to have been due to a recalcitrant engine. No 120, carrying bombs and flown by Flt-Lt Arnold John Miley RN, accompanied the raid against Cuxhaven on Christmas Day, 1914. Short S.69 Admiralty Type 74 (RNAS No.74). An early Admiralty Type 74, No 76, without folding wings; this type was adapted in 1915 to carry up to a pair of 112 lb bombs. Short S.115 (RNAS No.818) was one of a batch of Type C folder seaplanes based on S.69 Admiralty Type 74. 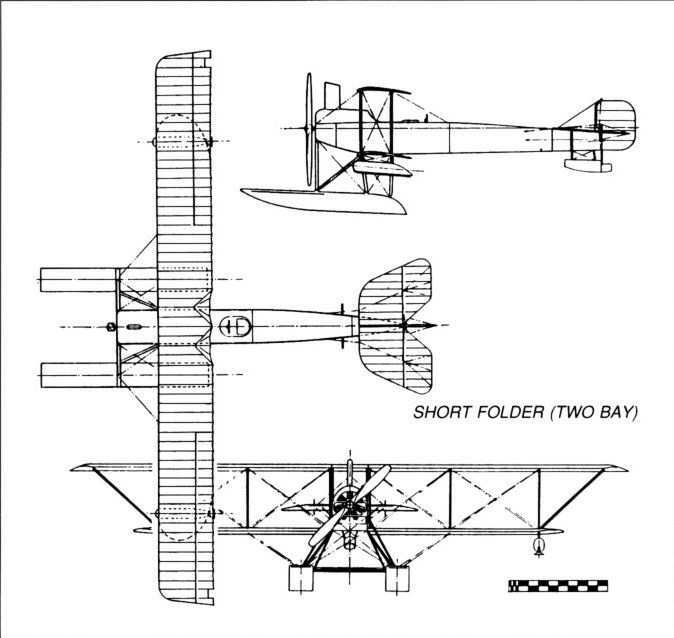 Diagram of Short "folder" Seaplane - as published in March, 1914. Details of further improvements cannot be given during the war.